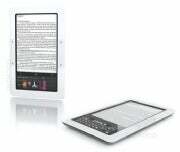 Barnes & Noble is expected to unveil its color touchscreen e-reader called Nook Tuesday, according to reports. The Nook is expected to go head-to-head with the Amazon's Kindle e-reader when it comes to price, features, and availability of e-book titles available for the device. The New York Times and Wall Street Journal had an early glimpse at an advertisement for the Barnes & Noble Nook e-reader, which is expected to be unveiled on Tuesday at a Manhattan news conference. Both the New York Times and Wall Street Journal claim that the Nook will match the price of the Amazon Kindle, which after the latest price cut, has a $259 price tag and controls over 60 percent of the e-book market, according to Forrester Research. The advertisement mentioned by the NYT and WSJ reports is scheduled for October 25, so availability of the Barnes & Noble Nook can be expected either sometime this week or early next week. By the sound of it, the Nook is the reader we have seen leaked by Gizmodo (courtesy of the picture above) earlier this month, featuring two displays: one gray-and-white e-ink display for reading and a secondary color multi-touch touchscreen underneath for viewing pictures or text input (via a software keyboard). The exact screen sizes on the Nook are yet unconfirmed. The Barnes & Noble e-reader advertisement quoted by the papers says that Nook users can "access over one million e-books, newspapers and magazines." Google provides 500,000 of the books available at the Barnes & Noble online store. The store also sells digital books for the iPhone and BlackBerry smartphones, next to personal computers. The e-reader market, though fairly small at the moment, is becoming an increasingly crowded place. Next to the market leader Amazon Kindle and Sony's e-readers, Plastic Logic is also set to launch the Que in January and Asus is expected to introduce a similar product as well.